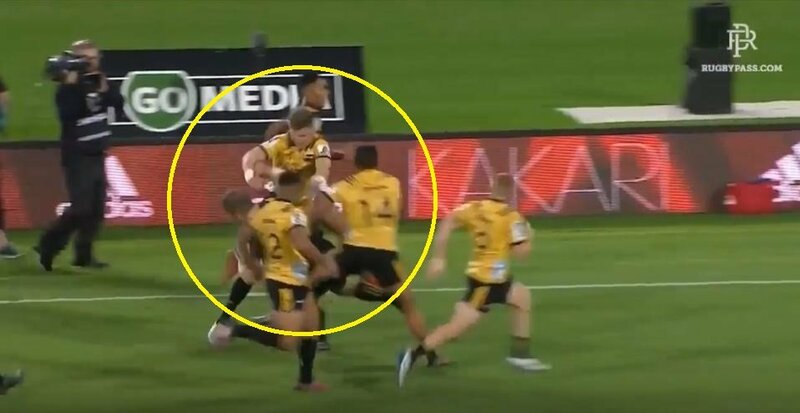 Jordie Barrett seems to have developed the famous All Blacks invisibility cloak, as he gets away with this blatant no arms, shot to the head against the Chiefs on the weekend. It wasn’t even off the ball, which makes you wonder what the referee was watching. Of course the commentators just ignore it too.